Governments are examining loan management policies in order to better protect financial consumers. Photo credit: Korea Institute of Finance. Since the 2008 global financial crisis, growing emphasis has been put on responsible lending around the world. Particularly, in the United Kingdom, responsible lending has been promoted from the standpoint of individual borrowers. 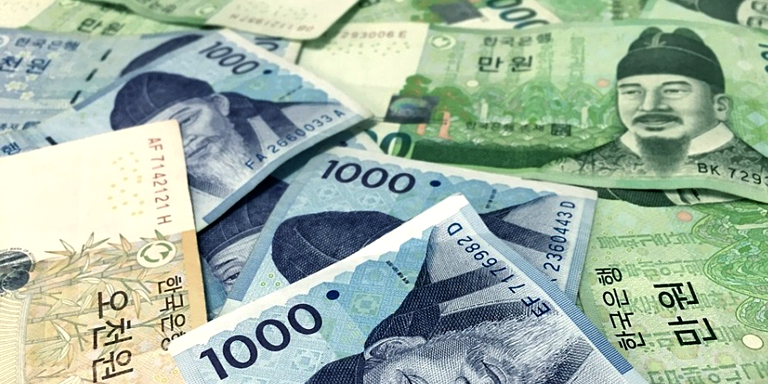 In line with this trend, stricter rules have been adopted in the Republic of Korea on lending with Debt Service Ratio(DSR) and revised Debt to Income(DTI) regulations. However, these regulations focus on enhancing financial system stability, rather than on individual borrowers' welfare; going forward, greater efforts are needed to take into account borrowers' loan affordability in loan management to better protect financial consumers. In the aftermath of the 2008 global financial crisis, growing emphasis has been put on responsible lending to better protect financial consumers. In the US, Dodd-Frank Act has been enacted to ban unfair, deceptive and abusive lending―a more rigorous application of the Unfair or Deceptive Acts or Practices under section 5 of the Federal Trade Commission Act―and the Consumer Financial Protection Bureau (CFPB) took charge of related rule-making, supervision and inspection needed to prevent such malpractice. In the EU, regulation on mortgage lending has been stepped up, particularly to strengthen criteria on evaluation of repayment ability. Additionally, for more responsible lending, stricter rules have been adopted in the US and the EU regarding information disclosure, a right to withdraw a contract, greater ease of early repayment, and debt management in consideration of borrowers' financial conditions. Recently, the Financial Conduct Authority(FCA) in the United Kingdom strengthened regulation on responsible lending for consumer credit lending. Specifically, a distinction has been made between creditworthiness assessment from a lender's standpoint―credit risk to the lender that the customer will not repay the credit―and from a borrower's standpoint―affordability that is about how difficult it may be for the customer to repay. The FCA noted that financial firms may not have a sufficient incentive to incorporate affordability aspects into their assessments and propose the rules that firms consider a customer’s wider financial situation when they assess creditworthiness. More specifically, the FCA emphasized that creditworthiness assessment needs to be measured in consideration of the purpose of loan and borrower's expenditure information, and whether a borrower can maintain a present living standard, in addition to assessing his/her income and property value. That is, the scope of assessment has been expanded to consider individual borrowers' welfare as well. In the Republic of Korea, household debts have been growing steeply, and as the base rate is expected to rise, various measures have been taken to improve loan management, e.g. revised DTI regulation, DSR, and guideline on lending review for small business owners. The method of calculating income and debt to cap maximum borrowing was revised to be clearer and more reasonable. And the guideline includes provisions on more rigorous risk management on biased lending among industries, regulation on the Loan to Income(LTI) or Rent to Income(RTI) ratios, and lending review in consideration of business outlook in terms of factors such as business locations and overall market condition. These measures that regulate a ratio of lending to particular indicators or risk management of biased lending focus on stabilizing the financial system, and thus, additional measures are needed to protect borrowers from the perspective of their loan affordability. The current regulation on DTI and DSR focuses on evaluating the level of debt relative to income; going forward, more attention needs to be given to borrowers' wider financial condition and expenditure to ensure customized loan management. Such responsible lending practice would help increase borrowers' welfare in the long run by deterring borrowers from over-borrowing. His research areas are industrial organization and macroeconomics. He earned his doctorate in economics from Duke University in 2006, specializing in macroeconomics and industrial organization. He once worked at the venture capital firm KTB (now KDB Capital).